Hosted by The Company Lab (CO.LAB), GIGTANK 365 is a boutique accelerator for startups developing high-bandwidth business applications. As the nation’s first startup accelerator wired to a metro-wide gigabit network, GIGTANK attracts world-class talent to Chattanooga each summer, as well as ongoing recognition from tech circles across the globe. This year, the program will accommodate 12 startups and five specialists exploring advanced networking and other emerging technologies in healthcare and other industries. The teams’ applications address opportunities in virtual reality, 3D printing, streaming and satellite technology, as well as several other areas of promise. To view a summary of each startup’s work, click here. The participants of GIGTANK 365’s summer program come from a diverse array of geographies, backgrounds and skillsets. Among them, some are based as far away as Cambridge, Mass., while many others are local or are located in nearby cities such as Nashville, Atlanta and Birmingham. Most teams will be present in Chattanooga from May 16 through July 29 while free housing is available at the University of Tennessee at Chattanooga (UTC). Two teams will participate remotely and will make periodic visits to Chattanooga throughout the duration of the summer program. Among those locally-supported teams are One-to-One Telehealth, a telehealth company working with EPB Fiber Optics and One-to-One Personal Physicians Network, and UTChattSat, a space infrastructure company and recipient of the UTC-GIGTANK Fellowship led by Dr. Daniel Loveless. In addition, TelemeterED will carry forward a gigabit-enabled, 4k microscope learning experience piloted at the Chattanooga STEM School in partnership with Public Education Foundation. In addition to the GIGTANK 365 teams, two local companies will take part in the summer session of CO.LAB Accelerator, which runs concurrently with GIGTANK 365 in three cycles throughout the year. Those companies will learn alongside GIGTANK 365 teams and will share the same mentor network and startup resources. The summer session of GIGTANK 365 and the CO.LAB Accelerator will run from May 16-July 29 and will culminate with a Pitch Night where participants will pitch their companies to an audience of investors and local startup supporters. CO.LAB will host its annual Demo Day, where the top startups from GIGTANK 365 and the CO.LAB Accelerator will pitch their companies to a large audience of investors, media, corporate partners and community members, during Startup Week Chattanooga in October. For more information about GIGTANK 365, visit thegigtank.com. GIGTANK 365 is a boutique accelerator for startups developing ultra high-bandwidth business applications. Located Chattanooga, TN, the program invites innovators from across the globe to leverage the city’s fiber optic network and robust entrepreneurial resources to launch next-generation businesses. GIGTANK 365 centers around three industry verticals – 3D printing, software defined networking (SDN) and healthcare – while keeping its doors open to inventive startups of all varieties. Held in three cycles occurring year-round, the program connects participants with on-the-ground guidance from industry experts and national thought leaders in broadband and entrepreneurship. The full experience culminates with Chattanooga Demo Day, where top startups pitch their business concepts to a large audience of investors, partners, media and supporters. GIGTANK 365 is an annual production of The Company Lab (CO.LAB). Visit thegigtank.com to learn more. The Company Lab (CO.LAB) is a nonprofit organization that supports entrepreneurial growth in southeast Tennessee. Established as the region’s front door for entrepreneurs, CO.LAB works to increase the viability of startups and strengthen the ecosystem of support behind them. 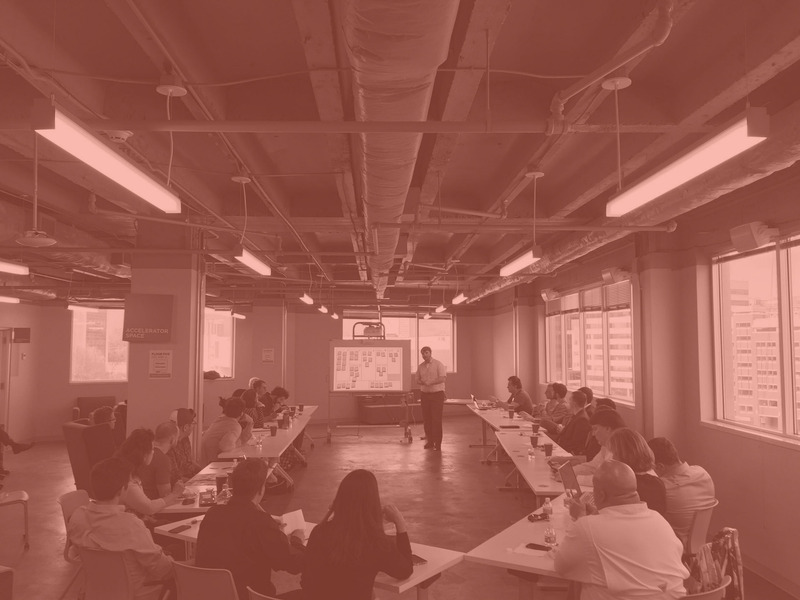 In doing so, the organization helps entrepreneurs refine their business models, test their ideas with customers, pursue capital and partnerships, and connect with a community of mentors, peers, and business experts. To learn more, visit colab.co.